The right lighting elements will add safety and sophistication. 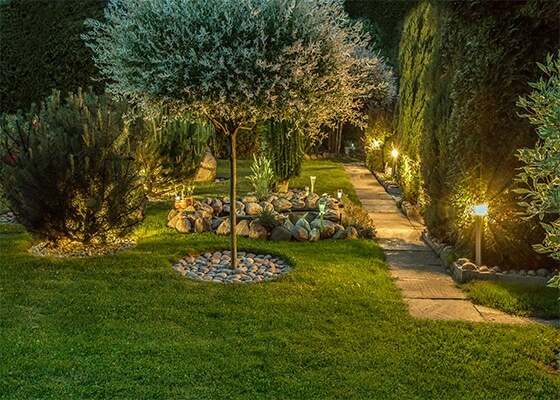 Contact us to see which type of landscape lighting would work best for your yard! 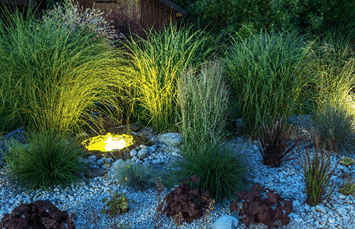 When it comes to landscape lighting there are multiple options to choose from to accommodate any need you may have. 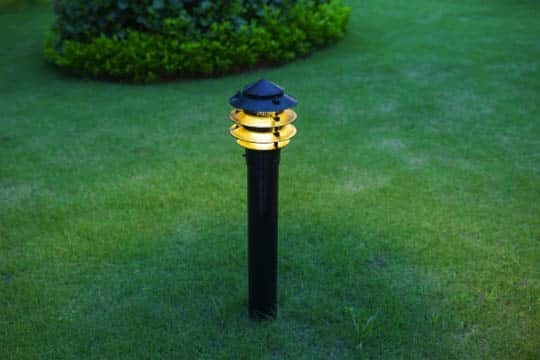 We can help you with low voltage outdoor lighting, dusk to dawn outdoor lighting, outdoor party lights, outdoor landscape lighting, outdoor lighting wall mount and industrial outdoor lighting. Low voltage lighting has a smaller filament so the bulb can be smaller allowing you to illuminate smaller places while creating the effect you were hoping to achieve. Dawn to dusk lights come in multiple styles and are an integral part to keeping your home safe and secure. These lights have a sensor so that they will come on at dusk and turn off at dawn keeping your property illuminated throughout the night. 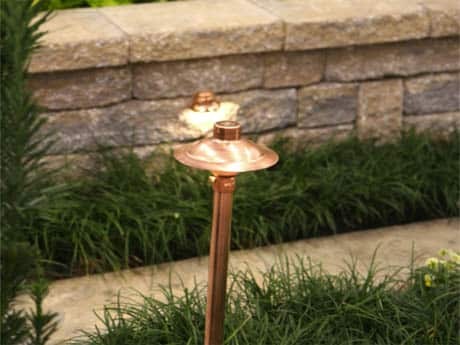 Outdoor party lights create a nice ambiance during your outdoor party. They come in numerous styles, sizes, shapes, and colors to accommodate any mood you are hoping to achieve. 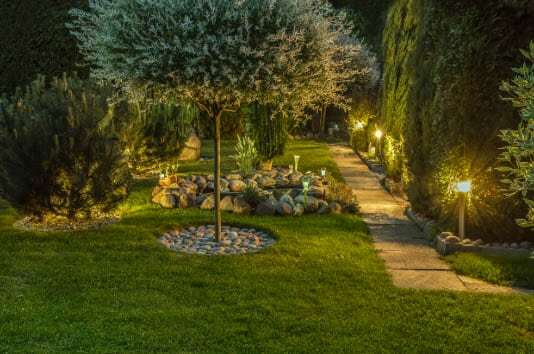 Outdoor landscape lighting adds to your landscape design showcasing certain features you want highlighted as well as illuminating pathways, stairs or walkways. 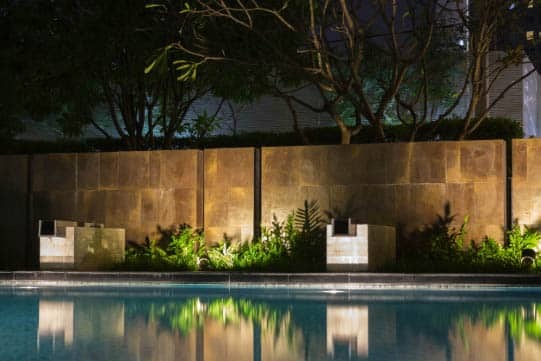 Outdoor lighting wall mounting is secured to any wall you may need and can offer any type of illumination you are hoping for. Industrial outdoor lighting can withstand constant industrial use and comes in numerous styles and designs to accommodate any look. During your consultation, we will discuss what type of lighting you may be interested in as well as what your overall goal is with the lighting. 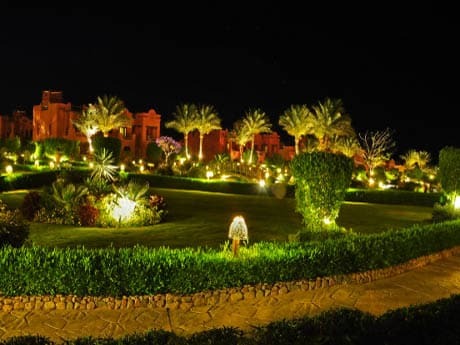 We will then take this information and create a landscape lighting design and then present it to you for approval before we begin work. We are a turn-key company and handle everything from start to finish so there are not any delays during the entire process. 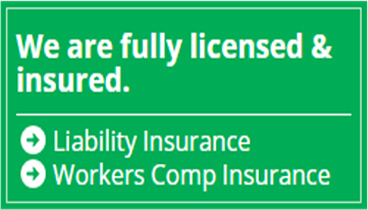 We guarantee our work, and you will not have to pay until you are completely satisfied. Over the years, we have developed relationships throughout Central Florida with residents, homeowner’s associations, industrial real estate, business leaders in construction, and apartment and condo associations. 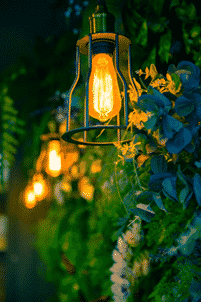 Landscape installer of Kichler Outdoor Lighting and Outdoor Light Fixtures — outdoor lanterns, chandeliers, lighting accessories and more, including LED and halogen. The beauty of interior design created for outdoor spaces. 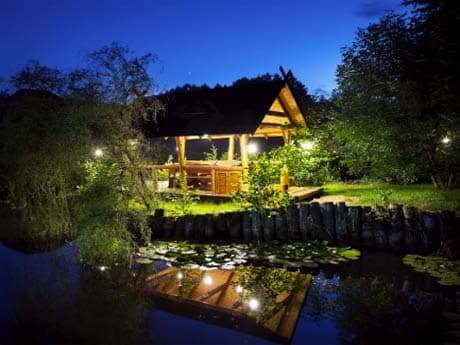 Landscape installer of Vista Professional Outdoor Lighting — custom and low-voltage lighting products for residential and architectural lighting designs.
" Ground Source was affordable, creative, and professional. We hired them to do our backyard which consisted of everything from pavers, sod, and landscaping, to a wood flower box. They did an amazing job. We worked with Eric who handled the estimate to the design to the final completion. He was here on site almost every day to ensure things we're going as planned, and they finished in 1 week! We highly recommend! " " Have always been very happy with the service and quick response. " "Excellent attention to detail and each and every employee was caring and friendly. With NO hesitation, we would recommend Ground Source to family, friends and neighbors without a doubt!!! So happy we found you....."
It is important to remove existing turf. Your lawn is a vigorous ground cover that will compete with your tender young perennials for water and nutrients. … Sod removal – Rent a sod removal machine or use a flat edge spade to lift the turf, severing the roots just below the soil line.